@ SCM Archives is working now! Since I’ve been very busy with the move that I’m making, I’ve had very little time to spend on blogging. 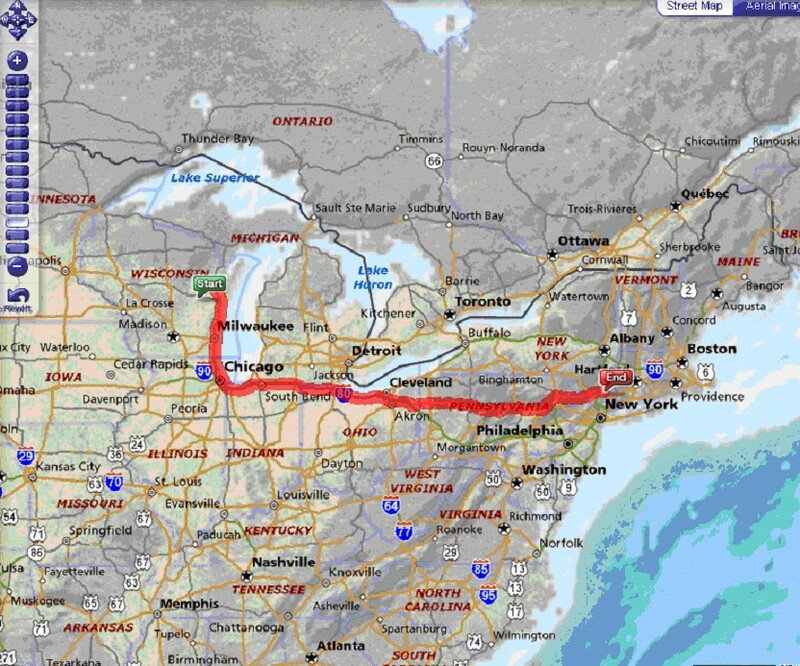 I’m relocating from Green Bay, WI to Fishkill, NY or thereabouts. This last weekend, my wife, son and I spent some time visiting Lambeau Field and taking the stadium tour and I’m pretty sure that we’ll be back there for at least one game. However, I found that blogging (the making changes to the blog structure part of blogging) is a great reliever of stress. I have been toying with the archives part of the blog and finally I got the Extended Live Archives part to work. This is a great WordPress plugin that I would recommend for any site that uses WP for blogging. Documentation for how to get this plugin to work is available at 24FightingChicken’s blog. Take a look at the archives as it is now. In the coming weeks, I will style it in the manner that I’d like but for now it is what it is. The supply chain bloggers are tagged! Blogger: Chris Abraham, supply chain management consultant. Audience: General logistics and supply chain professionals. Content: The newly redesigned blog provides Abraham’s insightful take on news articles, trade publication features, and research reports pertaining to SCM and logistics. It also includes a comprehensive list of recommended logistics blogs and a fun map showing the location of site visitors throughout the world. (Kudos to Abraham for drawing visitors from as far away as Africa and New Zealand.) The blog is updated regularly and provides a moderate amount of user commentary. My thanks to Amy. Now to greater blogdoms!! Is an underperforming supply chain Home Depot’s pressing problem today? I reported in this post (Item 2) – SCM Newz Roundup (originally reported at SC Digest) about Home Depot’s brand new panacea that is going to help it return to the top of its game. Only its no panacea. Its just foolhardy. The moves clearly reflect in part the impact of Home Depot’s VP of Supply Chain Mark Holifield, who came to the post after a similar and well-respected stint at Office Depot. He said that Home Depot would focus on improved inventory management, implement a system that will provide better visibility and control over products delivered to the home, improve visibility of product flow from suppliers all the way to the store shelf, and cut order-to-delivery lead times, and improve inbound distribution. Home Depot noted the power of inventory improvements, saying that every one-tenth improvement in inventory turns means drives an additional $200 million in cash flow. Here’s what Home Depot wants to do – improve its operations in order to drive better cash flow through its supply chain. But is that Home Depot’s problem? Like I have said before, I have not done a comprehensive survey of customer attitudes to Home Depot. So I do the next best thing i.e. stick my thumb in the air and ascertain the direction of the wind. And which way does that blow? I recently visited Home Depot so I could use a gift card. Was all primed and ready to spend several hundreds of dollars (in addition to the $50 gift card) on paint, ceiling fans, and the like. Net-net, I didn’t spend a dime at Home Depot. I ended up going to Lowe’s and Samon’s. Why? Well, the Depot was dirty, cramped and cluttered. I couldn’t even find the aisle with the ceiling fans. The paint selection was far smaller than that of other stores. Nobody seemed interested in helping me and I don’t know that I blame them. The employees I did see (huddled around the end of aisles or at the checkout counter) looked terminally depressed. Overall, a dismal shopping experience. I will be making a job change in the near future – by the end of this month. I have decided to leave my current position in Logistics Engineering at GENCO (a 3PL provider in the US). I have accepted an offer at ILOG as a staff consultant in their FPO group (ILOG Fab Poweops) which is part of the Planning and Scheduling group at the firm. In my career trajectory, I seem to be moving from the high level strategic planning for supply chains down into the nitty gritty of real-time scheduling but I think that I will be back up to the strategic planning level in the not so distant future. I think that I will benefit immensely from the bottoms up approach and that’s why I think this is a good move. Moreover, it takes me from the logistics function of the supply chain into the manufacturing function. LogisticsToday and Expansion Management offers a matrix that summarizes the state of logistics practices, environment and competencies by cities in the Midwestern part of the US – they call it the Logistics Quotient : Midwest. * Transportation and distribution industry–based on business and employment base providing transportation, distribution, warehousing and related services. * Work force–geared to existing and available logistics-related workers in the area. * Road density, congestion and safety–ranks the city on traffic volumes and delays as well as accident statistics and other factors affecting the smooth flow of traffic. * Road condition–draws on state performance and includes condition of highways and bridges among other measures. * Interstate highway–includes access to interstate highways, spending on highway construction and maintenance. * Taxes and fees–provides a measure of logistics-related costs, including highway and fuel taxes and related business activity taxes. * Railroad–offers a state-based rank of access to Class 1 and other rail services and miles of track. * Waterborne commerce–includes ocean port capacity as well as inland waterways. * Air cargo–ranks the city on its access to cargo services, including wide-body passenger service by combination carriers, international and expedited services. This kind of information is invaluable to me when I engage in Supply Chain Network modeling and consulting on the basis of this. This sort of matrix allows for easy comparison between geographical locations and the costs thereof of operating within them. So what is the scope of this legislation? The proposed bill would outlaw the collection, storage, and disclosure of information gathered through radio frequency identification technology without notifying consumers. The bill states that all companies using active and passive RFID devices would have to either disable the devices or gain consumer consent. The measure would prohibit companies from mandating that consumers have RFID tags for service or refunds. It would also prohibit people and companies from scanning or reading the devices to identify consumers without first obtaining consent. Firstly, I didn’t think that companies really wanted to know how many cans of Coke are in your fridge at this present moment? Assuming ofcourse, they’re able to differentiate that from the number of crushed/used coke Cans that are in your garbage. Such a level of granularity might be quite important for marketing purposes but I would think that its efficacy would decline on an operational level as far as the consumer is concerned. Nevertheless, who knows what an innovator would come up with in order to invade a consumer’s privacy? But isn’t it within the purview of the consumer to punish such a firm by not consuming such a product? SC Digest reports on a new initiative by Home Depot with regards to its supply chain. In the face of slowing sales growth and a slumping stock price, home improvement retailer Home Depot plans to increase investment in logistics infrastructure by $900 million, with a big focus on inventory management and improved central distribution. The comments came from Home Depot execs at the company’s annual meeting for financial analysts. Hey, I’m all for supply chain improvements but this is a joke. Just look at the news item itself. In the face of slowing sales growth and a slumping stock price, what does Home Depot plan to do? Improve its supply chain? What is wrong with this firm? improved inventory management, implement a system that will provide better visibility and control over products delivered to the home, improve visibility of product flow from suppliers all the way to the store shelf, and cut order-to-delivery lead times, and improve inbound distribution. What is Home Depot smoking? And on the same note, what is Lowes doing right? Why Change Management fails most of the time? I am on the road this week and so have little time at hand for blogging. But as I was flying to the east coast yesterday evening, I had an interesting thought. Change management projects and initiatives have a high failure rate, estimates that I have across put it about 60% failure rate. If anyone has a better number or figure for the failure rate for change management projects, send me a note. The principal reason that I thought of yesterday was that change is not a part of the daily work schedule, part of the daily work objective – “If it ain’t broke, don’t fix it” creates a working environment that doesn’t emphasize change sufficiently. Instead change is something that happens when something goes wrong, has gone wrong and now is a festering sore or is about to go wrong and some alert group or individual recognized it just in time. What I’d like to find out is whether change management failure rates are comparable for firms that have a continuous improvement culture and those who do not.